SunPower has always been a leader in terms of N-type cells. In the PV EXPO this time, they still focused on N-type mono-si cells with high efficiency and reliability. They also revealed modules with conversion efficiency up to 20.1%. 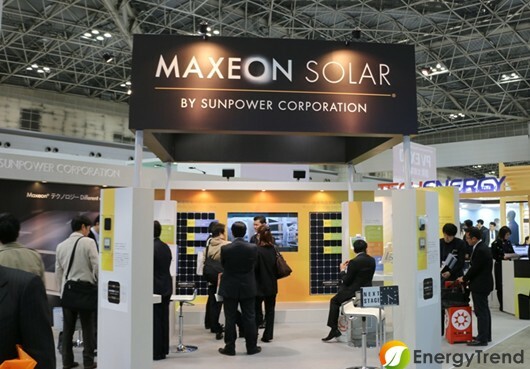 In Japan, SunPower is called Maxeon Solar. The name represents high-quality PV module with maximum power output and reliability. SunPower has been focusing on both residential systems and large-scale power plants in Japan. Although high-efficiency products have been viewed as the type of product that’s more suitable for roof-top systems, SunPower also plays a significant role within large-scale power plants in Japan. Aside from the increased demand stimulated by Japan’s preferential FiT, SunPower ensures that their modules can maintain 87% of their power after 25 years of use. Therefore, it’s widely adopted by developers and investors. In fact, SunPower has been developing residential systems and large-scale power plants over 200MW in Japan since 2013. They have further confirmed that they will take over large-scale power plant projects exceeding 95MW in 2014. Meanwhile, Japan’s target amount of PV installation in 2014 is larger than that in 2013. Looking into the Japanese market, SunPower believes that MW-scale power plant projects will be the major force to market growth in 2014. Especially with preferential FiT ending in 2015, the market will grow much faster in 2014. SunPower further points out that manufacturers with projects (MW and above) will choose SunPower’s module so they can get more power output under the same area. SunPower indicates that the increased consumption tax will lead to moderate subsidy cut. 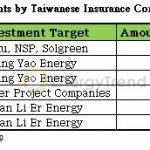 In the meantime, it will raise coal gas and electricity fee. SunPower believes that residential PV systems will be more popular in Japan since most people prefer to save the money. There are not many manufacturers within the N-type mono-si cell area. Although First Solar, a leading manufacturer of thin-film cell, has started to work on R&D through TetraSun, they haven’t come up with an actual product. Thus, SunPower’s major competitor is Panasonic, which owns HIT technology. It may be a tougher challenge for SunPower because Panasonic’s origin is Japan. Due to the improved conversion efficiency, SunPower will not only continue to focus on module development, but also will enhance overall system efficiency. 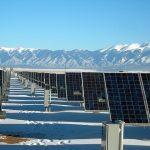 It’s believed that SunPower’s high-efficiency and integrated advantages will begin to show as grid parity becomes the mainstream in the future.